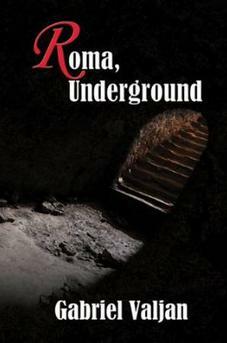 Roma, Underground is a police procedural novel wrapped up in a continuing mystery story of a secret government agency. 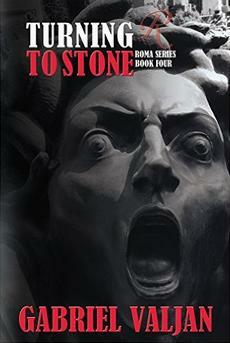 The series is up to four novels (see below) and set to continue. The female protagonist of this series, wonderfully named Alabaster when she isn't incognito as Bianca, works off and on for the secret government agency. 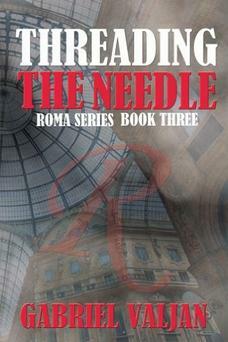 She teams up with law enforcement in Roma, Underground to help them trap some criminals red-handed. 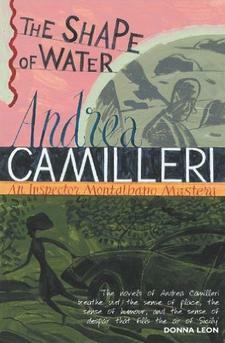 The book is an interesting cross between TV's Alias and Camilleri's Montalbano books. Each book in the series gives the reader a police case from law enforcement's perspective with all the teamwork needed to bring down the bad guys, plus there is the secret conspiracy stuff that draws our heroine into places she doesn't want to be, including dangerous situations. While the police case proceeds to a positive ending with Bianca's help, Alabaster has to deal with some spooky things and scary people having to do with her on again off again employer. This is a very entertaining construction, and sure to please fans of both sorts of stories. This is Rome. The living, the dead, the past and the present - it's all the same here in Rome. 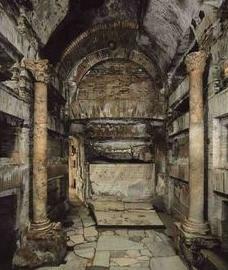 The world under Rome's streets, referenced in the book's title, plays a part in the story, too, so we get some very interesting visits to underground Rome, in the company of Dante, who is part of a group that maps the underground city. 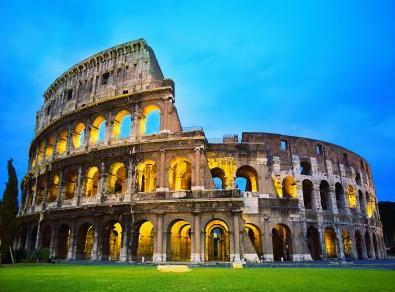 Roma Underground is a group of speleologists. 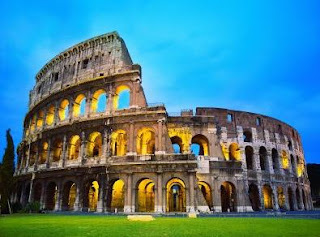 We have specialized training in the basics of archaeology, climbing, and SCUBA, and our objective is to explore and map the underground city of Rome. Alabaster/Bianca is a psychologically complex character who makes a wonderful anchor for the series. She is a professional in the very nerdy profession of forensic accounting. That doesn't mean men don't find her intriguing enough to attempt a romantic relationship with her. ...she was the hyper-rational one, almost without a need for emotion. The author's writing style is literate with light humor and lovely turns of phase, making some of his prose read like prose poetry. The style lightens for the purely police procedural sections, moving the crime story along nicely. There is a skillful weaving together of past and present to tell the story and to build suspense. There are some vulgarities but it is not excessive. The narrative style is third-person limited usually from Alabaster/Bianca's point of view if she is in the scene, and from the point of view of other characters when she is not in the scene. What about the mysterious government agency, Rendition? Well, when they recruited Alabaster/Bianca they told her that they acted against destructive greed that threatened the U.S. economy, which set them against industrialists who try to cheat they capitalist system to the detriment of the country. There turns out to be plenty of leeway in that description to create threatening situations for industrialists and for the forensic accountants who work for the agency. That story continues throughout the series. In the highly anticipated sequel to Roma, Underground, Bianca returns to the U.S. for her former employer, the covert organization Rendition, to investigate Cyril Sargent and Nasonia Pharmaceutical. Although ambivalent about the assignment and uneasy about her online "friend," Loki, she is enticed into researching what Sargent is doing with insect genetics that might upset the world of cancer research and treatment. 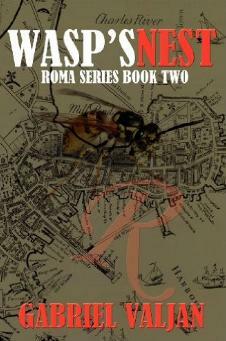 Old friends Farrugia and Gennaro uncover a twisted conspiracy from their past and join Bianca in Boston where they will experience conflicted loyalties, question allies, and confront uncertain enemies, as they're drawn into the wasp's nest. Visit the author's website, or his Amazon Author's Page, or his blog. You can also follow him on Facebook and Twitter @GValjan.